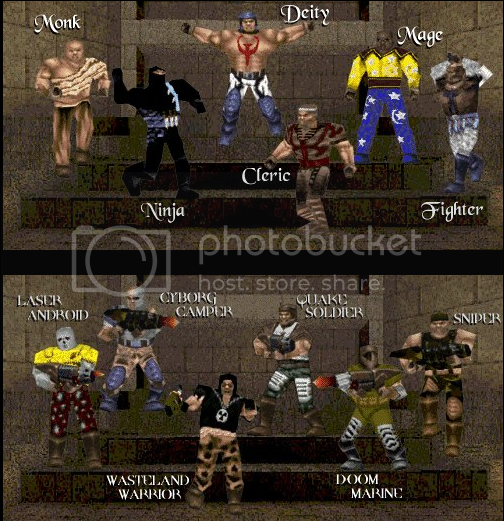 An old Quake 1 mod known as Future vs Fantasy is still rolling around, even today. There has been a server up for some time now at the address fvf.servequake.com . You don’t need the mod installed to play, but if you do install the mod (the FvF webpage is here: http://fvfonline.com/), things will look a lot better (you’ll be able to see custom skins and such).